WORCESTER, Mass. 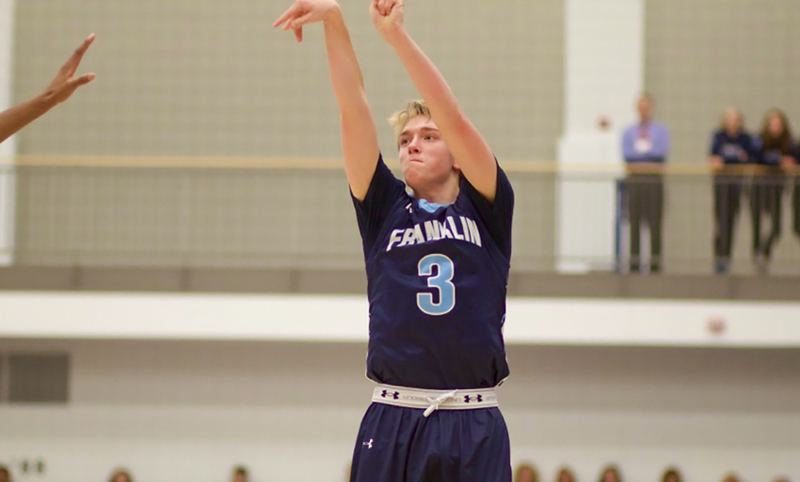 – The 2018 Franklin boys basketball team has relied on its defense all season long to win game after game. 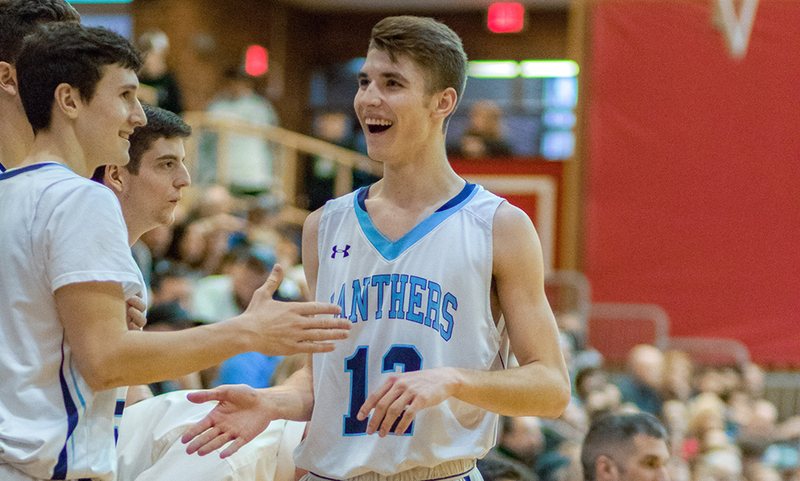 So it’s only fitting the Panthers came up with a pair of big stops to secure a 58-53 win over Algonquin to clinch the program’s second straight D1 Central Sectional Championship. Holding a 55-50 lead with 4:21 to go, the Panthers relied on the defensive end to clinch the title. The Tomahawks had the momentum, sandwiching a bucket from Nick Redden (25 points, 11 rebounds) around two defensive stops to get within two. The Panthers got a turnover but gave the ball back on an offensive foul that negated an and-one opportunity. Once again, Franklin got the stop it needed but the rebound bounced around and out of bounds. Algonquin called a timeout with an inbounds chance under the Franklin basket with 39.3 to go. 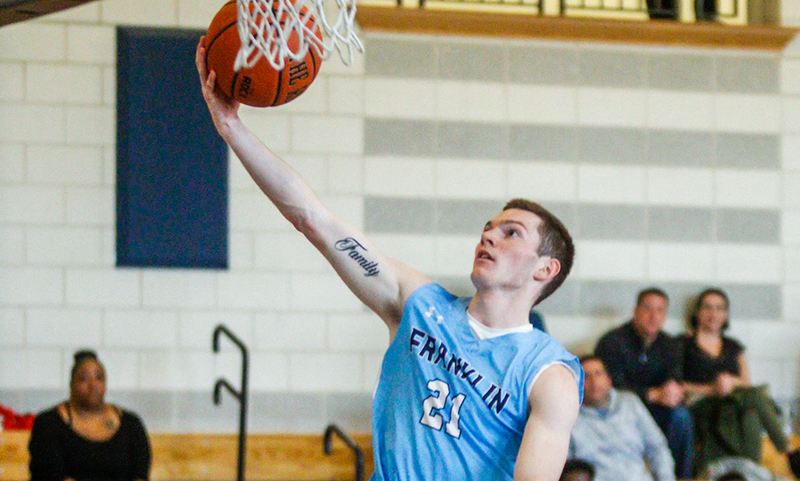 The Tomahawks tried to inbound the ball but Franklin senior Paul Mahon (18 points, five steals) read the play, launching into the air to tip the ball free while diving into the opposing bench. Senior Jack Rodgers tracked it down for an open layup and a 57-53 lead. Back down the other end of the court, Redden missed a jumped but Algonquin grabbed the offensive board. 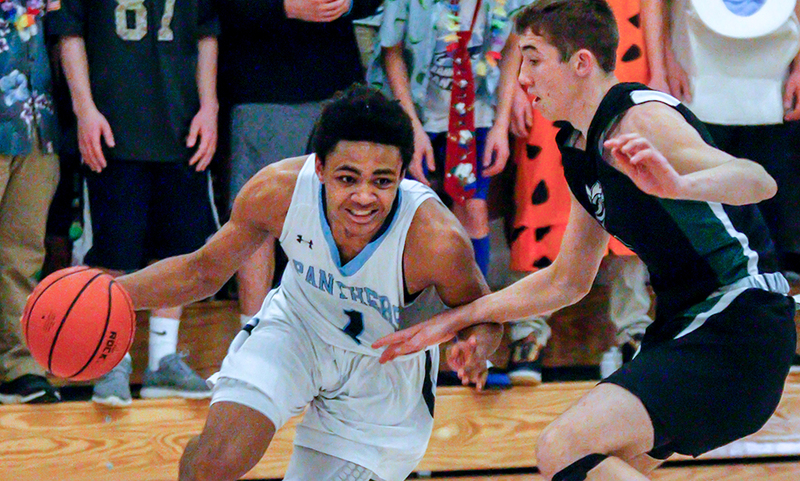 But an errant pass bounced around in the paint before Franklin junior Jalen Samuels (six points, 12 rebounds) grabbed hold, tossing a pass ahead for Mahon who was followed. He hit one of two free throws with 15.2 to ice it. “It was a risk-reward play but I saw the ball in the air and I thought to myself “that’s mine“ so I went up and try to make a play on it and Jack made a nice play to track it down and score,” Mahon said. Franklin held a 49-42 lead heading into the final quarter but the Tomahawks needed just 1:34 for a 7-0 run to tie the game. Panthers sophomore Chris Edgehill (23 points) snapped the run with a nice take to the rim to go up 51-49. Algonquin answered with a free throw to get within one. The teams traded turnovers and then Mahon poked away another ball, leading to a break from the Panthers. Edgehill drove to the basket to drive the defense before kicking to the corner to Rodgers. 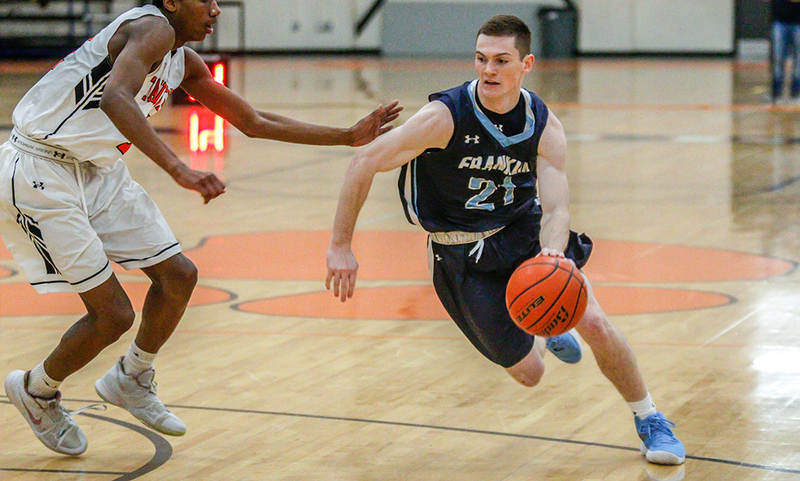 But as the defense scrambled to him, he alertly used one extra pass to get it to Mahon, who stepped up and calmly buried the triple to make it 54-50 with 4:51 to play. It was just Franklin’s third made three of the game (finishing 3-for-23 from beyond the arc). 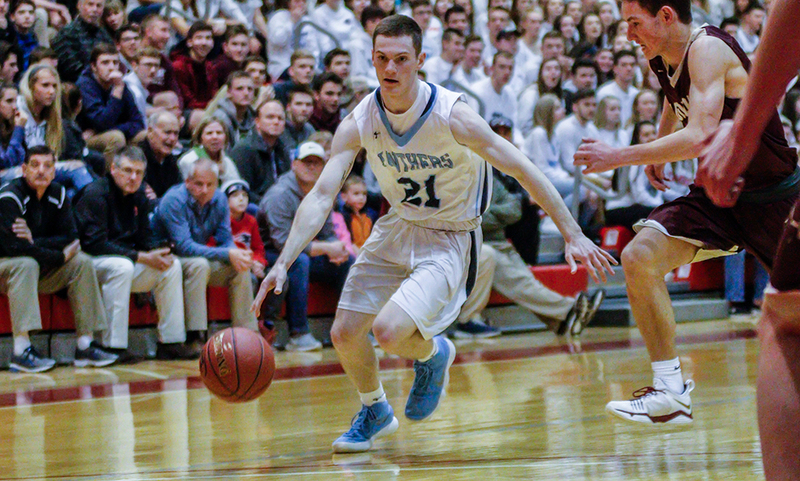 Mahon missed last year’s sectional final with an injury and was limited his sophomore year against St. John’s because of early foul trouble. The senior captain scored 10 of his points in the opening quarter to help the Panthers get off to a strong start (22-17 lead after one quarter). 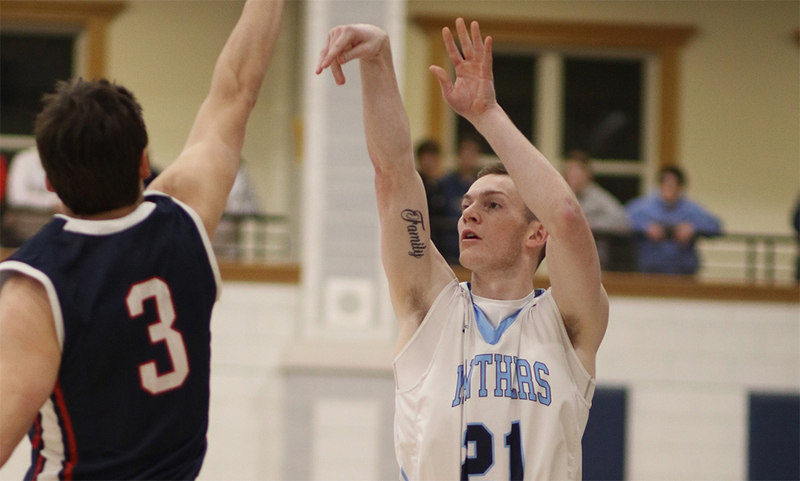 He also took on the task of guarding Algonquin’s leading scorer, Kyle Henderson (over 20 points per game). Mahon limited Henderson to just 13 points on 3-for-11 shooting and had a big hand in Henderson committing nine turnovers. “What up player, what a person,” Neely said of Mahon. “He wanted the challenge the second we won our last game…he told me I want Henderson. He couldn’t wait for the opportunity he’s been talking about it all week. Obviously, Henderson is a great player, you’re not going to shut him down, but Paul did about as good as you probably can against him. He was averaging over 20 points per game and now that’s another person Paul holds under their average. Franklin limited Algonquin to just three points over the final 5:30 of the game and forced six turnovers. The Panthers had a rough start to the game, committing four of their 16 turnovers on their first four possessions, facing a 6-0 deficit before even getting a shot off. But Franklin settled down and used a 13-0 run to take the lead. Leading 18-8 in the frame, the Tomahawks got back into the game with a 9-4 run. Franklin held a five-point lead three times but each time the Tomahawks had an answer to get within three. The Tomahawks tied the game 32-32 with a minute to go in the half but Edgehill fought through contact to make back to back baskets to give the Panthers a 36-32 lead at the break. Redden was a big reason why the Tomahawks were in the game, scoring 18 points in the first half. Both Henderson and Brian Duffy did a nice job of forcing the Panthers to bring help and Redden cleaned up with some easy buckets down low. Franklin remedied that in the second half, holding the Tomahawks’ big man to just seven points in the second. “We were trapping ball screens off of him and they did a nice adjustment of picking and popping with him to get him some open looks,” Neely said. “We weren’t great on our rotation against him and he got some good looks. And then he had some nice post moves and got some buckets that way. He’s long and we don’t have many long guys will start the game. In the third, the Tomahawks cut the deficit to three with a layup with three minutes to play, but a big three-point play from Samuels, two from Edgehill, another free throw from Samuels and a pair of free throws from Edgehill with two seconds left put Franklin ahead 49-42 at the end of three. Franklin boys basketball (22-3) will take on D1 West Champion Springfield Central (22-0) in a rematch of last year’s state semifinal. 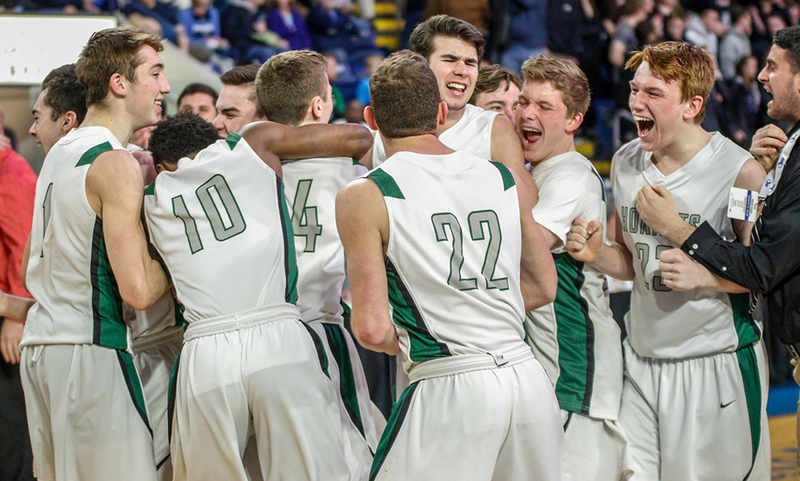 The game is scheduled to tipoff on Monday at Worcester State University at 7:30.